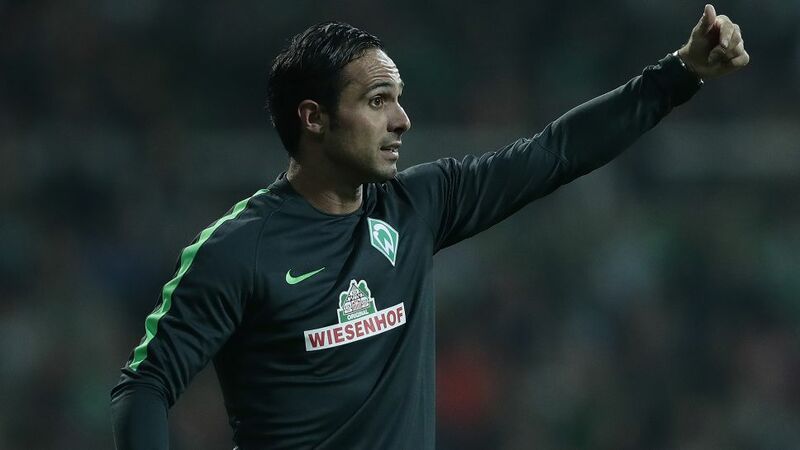 Werder Bremen were rock bottom when Alexander Nouri was handed the reins in September. By the end of the season, he’d steered them to within three points of Europe. Nouri was the U23 coach at Werder when the club turned to him to take over the senior squad following a 4-1 home loss to Borussia Mönchengladbach on Matchday 3. The 37-year-old had never coached at Bundesliga level and the club presented him as an interim solution. “How long Alex stays is up to him,” Werder sporting director Frank Baumann said at Nouri’s unveiling. Eight months and a massive climb up the table later, Nouri’s chances of a lengthy stay at the helm at the Weser Stadium seem very good indeed. What’s he done to turn things around? The young coach took a look at the squad and decided to make athleticism his first priority. Top attackers like Claudio Pizarro and Max Kruse were missing through injury at the beginning of the season, and the technically skilled but physically slight Aron Johansson was having trouble finding the back of the net. Nouri gambled that one of his youth squad charges, the powerful striker Ousman Manneh, would have an impact. In six games, the Gambian scored one goal and laid on two more to help get results moving in the right direction. Nouri then used the winter break to re-organise the defence, sensing that a switch to a three-man backline would allow him to get more out of his squad and maximise players’ strengths. The new system got off to a rough start - Werder lost four straight out of the gate - but Nouri showed patience and it paid off in spades. Over the following 11 games, the team didn’t lose once, outscoring opponents 28-9. Bremen played like a dominant team over that stretch, and climbed as high as sixth place by the time it concluded. The northern German club’s turnaround surely has much to do with individual performances - Max Kruse, Serge Gnabry and Thomas Delaney’s standout play all come to mind. The coach may have had an easy time recognising their capabilities, but he deserves credit for refining their roles to allow them to be effective. Additionally, Nouri uncovered hidden talents in the squad. Maximilian Eggestein came to the club as a playmaker for the future, but had yet to stake a consistent claim to the role at Bundesliga level. Nouri turned him into a holding midfielder, where he has thrived. The coach also helped develop the 21-year-old Milos Veljkovic into a Bundesliga regular. The son of an Iranian father and German mother has also impressed through his personality. When Bremen took one on the chin in a 5-3 home loss to Hoffenheim on Matchday 33, Nouri opened his remarks to the press by taking responsibility for the loss. He said he’d been rash in trying to switch to a four-man backline just because one of his first-choice centre backs (Niklas Moisander) had been injured. And Nouri’s fairness in picking his teams week-to-week has also gone down well with the squad. High-price-tag players like Gnabry and Delaney have found it tough at times to get into the starting XI after coming back from injury, but they haven’t grumbled. They knew that they’d get their chance before long if they kept practising hard and pitching in from the bench. Nouri’s boss Baumann appears to be very pleased with how his coach has developed. “Alex has picked up a lot of self confidence and conviction, but he’s still the same guy,” said the sporting director. The 37-year-old’s challenge next season will be to stay the same guy while leading a rejuvenated Werder up the table and back into Europe. Click here for more Werder Bremen news.